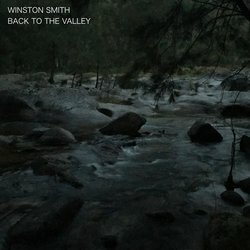 Winston Smith is a Sydney-based Tasmanian singer songwriter. Although deeply rooted in the country/folk rock tradition of Neil Young, Bruce Springsteen and Justin Townes Earl, Smith has managed to create his own unique place in the landscape. His songs of Love, loss and tragedy conjure images of the Tasmanian winter landscape where he grew up. Smith has had a very fruitful few years, having released "Marlena" in 2016 and "Back to the Valley" in 2018. He plays shows and festivals with his band the River Stones. A gritty tale of temptation, escape and regret told with jangling guitars, driving drums and Winston Smith's distinctive vocal delivery.